ccmp1974 managed to score Similac formula for just $2.50 a can by combining pink sticker sales with coupons and Similac cheques this week, and got ready for next Easter while shopping! 8x $24.99 Similac – 50% off pink stickers -8x $5 coupons( doctor office) – 8x $5 cheques (mailout’s and trades) =$20 or $2.50 each can! – This ‘stacking’ was allowed as the cheques are a form of payment and not a coupon. I wish I could find pink sticker clearance at $0.01! So what will ccmp1974 do with all those egg colouring kits? They are going to be given to all of the children in her daughters’ school for next Easter. 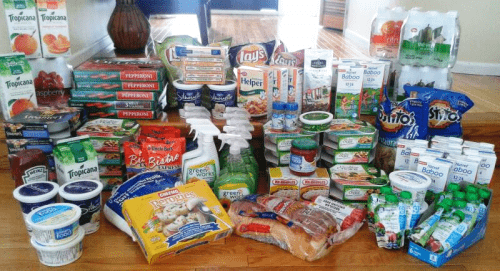 CouponDiva scored some great deals while shopping in Newfoundland this week by keeping an eye out for unadvertised store specials like pink stickers. 3 x Dial Eco-Smart Hand Soap Refills 1.18L @ $3.49 ea – 50% pink sticker = $1.74 (used 3 x $2 coupons from recent insert) Each bag is supposed to fill 5+ pump bottles! So together I paid $13.86 for the Ziploc & Glade but I’ll send in the receipt for the $10 PC Gift Card wub $20+ SC Johnson! 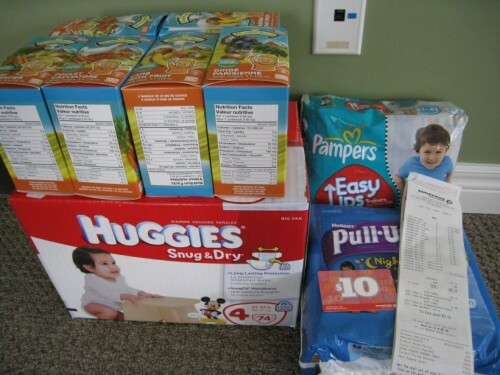 While getting anything for free is excellent, most SmartCanucks members hold onto their free product coupons (FPCs) until they can make even more from them – you can use them on items with bonus points, for items with more coupons on it and in some cases towards minimum spend requirements for promotions (not at Shoppers Drug Mart). 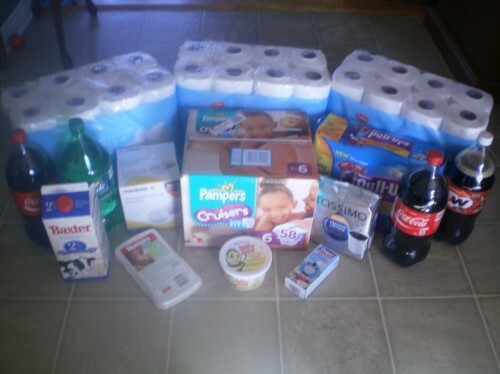 Including tax, ErinsMom paid only $6.88 for everything pictured and received 9 Airmiles and coupons for five free Blizzards from Dairy Queen and five free drinks at Orange Julius. 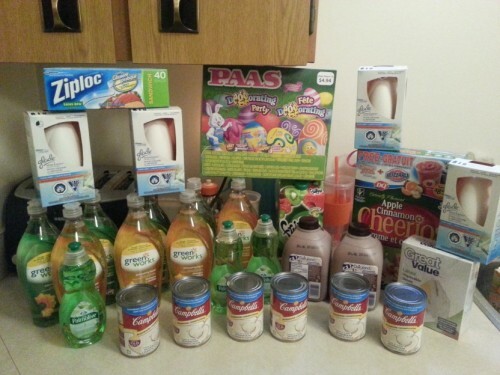 We don’t get many Atlantic store brags but forum member sabadi did great in their first forum brag. 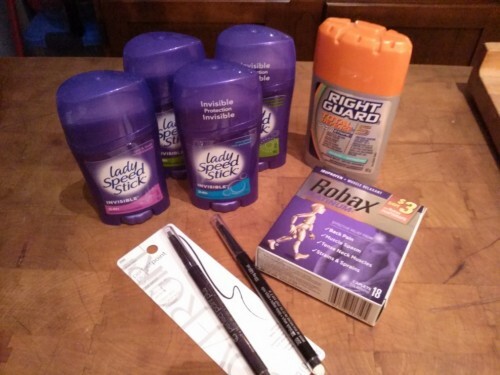 We don’t all have hundreds of coupons to bring down our out of pocket costs at Shoppers Drug Mart, some people just are not into couponing, but you can still maximise your savings by shopping with bonus points as forum member CouponDawn did in this brag. If redeemed at the highest level (95,000 points for $170) those points would be worth over $48 – and even more if CouponDawn waits until a bonus redemption! What has been your favourite Shoppers Voice coupon? Do you receive them? 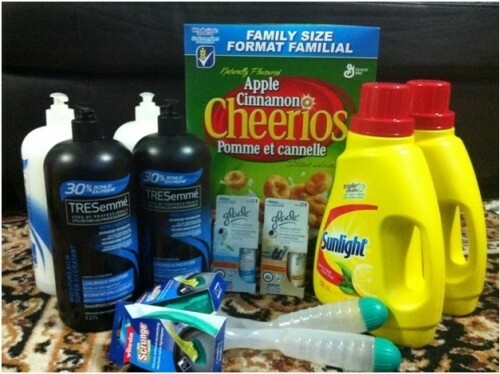 Forum member scbpooh managed to score all of the items pictured above for less than $10 including taxes by combining clearance deals, price-matching, overage and coupons as well as using Canadian Tire money earned from previous purchases. 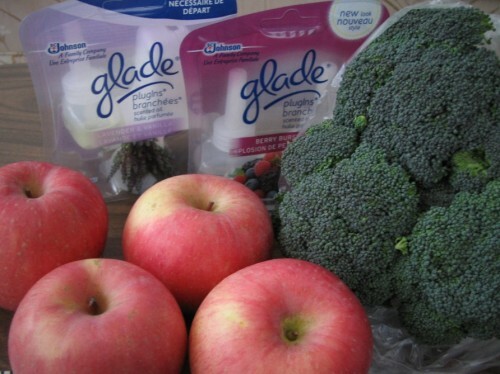 4 Glade Sense & Spray @ $2.50- $5= +$10.00 in overages!!!! All diapers are already on sale. $55.04 for $78.04 worth of products that were already on sale. And of cause I got the $10 savings card. The points would be worth $17 at the highest regular redemption level plus an additional $10 savings card so Alisa earned $27 back on her purchase too. Click here to see her full brag. 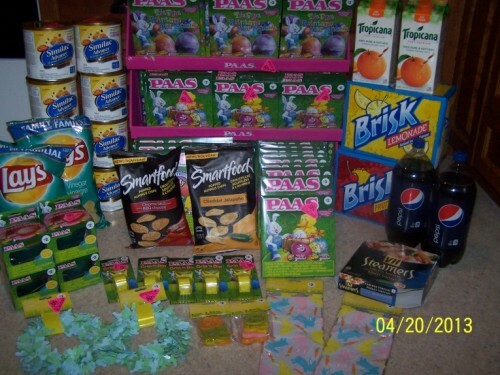 Forum member shmeelady managed to score all of this for just $34.50 at Walmart by combining coupons and price-matching. 2x Apple Chips;; $1.50 each — no coupons, but DS is obsessed with these! 6x Danone Silhouette;; $2.99 pricematched @ Sobey’s $2 – $5wub3 = $.33 each! Forum member Ashoo posted her first brag this week and here is what she got. 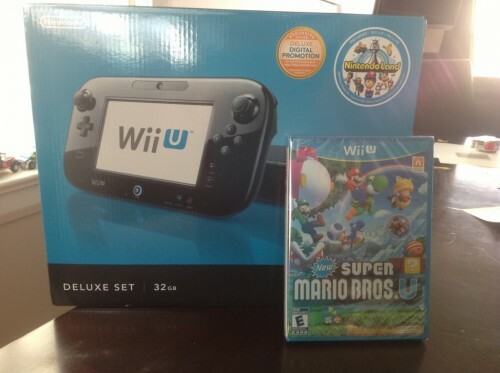 Forum member sjw80 combined the Shoppers Drug Mart coupon for 25% off full priced items and a redemption to get a WiiU and Super Mario Bros. U game for just $133.75 including taxes (full price including tax would be $463.28). So the 25% coupons can be used in conjunction with redemptions. Click here to view sjw80’s full brag. Using coupons with sales and other deals is the best way to use coupons. 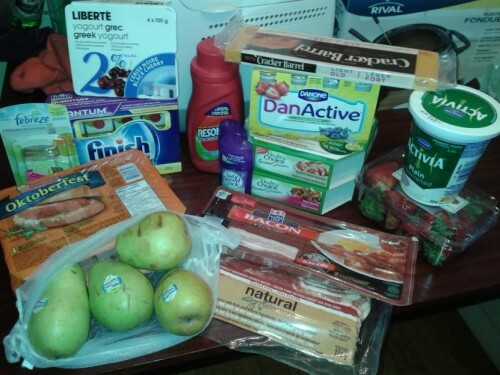 Forum member IRefuseToPayFullPrice did just that when she found Quaker oatmeal on sale for $1 box and used coupons for a free Tropicana Juice when you buy three Quaker products. 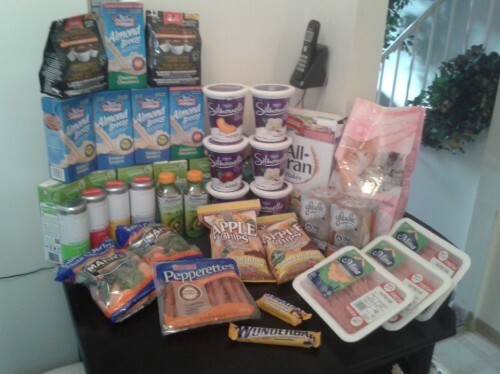 As you can see from her full brag (click here to see it), she also used coupons on her other items bought. Did you know that you can get paid if we feature your brag on the blog? Click here for details. 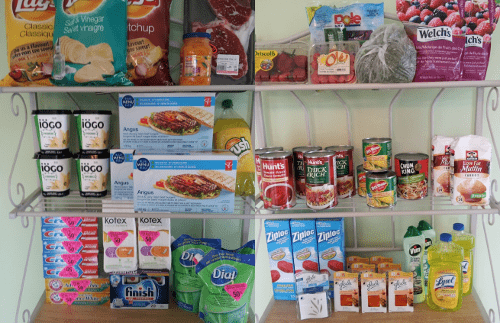 It is not very often we get to see brags about saving on fruit and vegetables, but forum member d.ot scored this week when a multibuy deal meant she saved more than the item at Walmart. 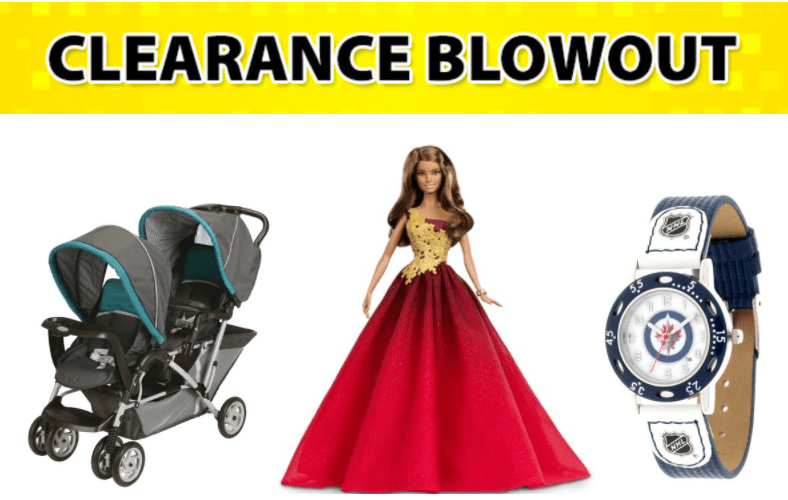 Click here to see the breakdown of her purchases (and do congratulate her on her first brag). How do you save on produce?